The Chrysler 300M Enthusiasts Club is a member-based, non-profit social and recreational club, bringing together people from around the world who are passionate about the Chrysler 300M, Dodge Intrepid, Chrysler Concorde, Chrysler LHS, and Eagle Vision. These vehicles were all built on the LH platform and have many interchangeable parts. Ownership of one of these vehicles is not a requirement for membership and we invite YOU to join our extended family of 300M, Intrepid, LHS, Concorde, and Vision owners and enthusiasts. Our discussion forum and member directory provide opportunities for members to get to know each other, attend a sponsored regional meets for in-person interaction, reference the expansive knowledge of the club members, and find parts and how-tos. The vision for this club began with several members of the Edmunds.com TownHall 300M (Sedans) Forum. After months of getting trademark usage permissions from Daimler Chrysler Corporation, brainstorming, organizing, planning, on January 5, 2001, the 300M Enthusiasts Club officially filed as a non-profit corporation in Colorado with a registered assumed name of “Chrysler 300M Enthusiasts Club”. The club’s formal name is “New 300 Enthusiasts Club, Inc.” because we cannot use any DC trademarks in our formal name. On April 23, 2002, the I.R.S. officially recognized the Club as a 501(c)(7) tax-exempt, non-profit social club. (first page of I.R.S. recognition letter). For more details about Club governance, check out our Bylaws in Acrobat format. If interested you may also view our Certificate of Incorporation. To see our status on the Colorado Secretary of State’s web site, including accessing our Articles of Incorporation, click here. Since the last LH was produced in 2004, the club has continued to maintain a very active membership base and we are still the number one place for information about the LH platform of vehicles. The 300M Enthusiasts Club will continue to be that source of information for years to come. 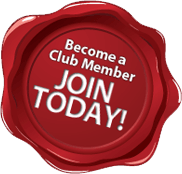 Please consider joining the club and being a part of it, membership dues are only $14.95 a year. Club members ultimately run this Club, by annual elections of the Board of Directors and Club Officers. We welcome your input and ideas, and can always use volunteers to help make the Club more useful and enjoyable. Take a moment and check out the current directors that are in charge of guiding the club. Read more about each of the current Board members here. View prior years Board of Directors here.